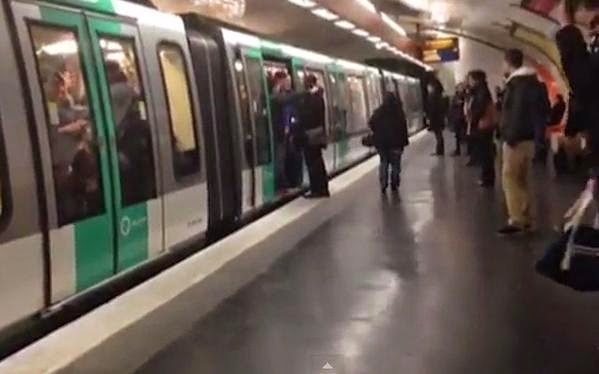 PARIS METRO: Do not condemn the majority of Chelsea fans because of a few idiots! On a day that we should all be celebrating a good result that gives us an advantage at Stamford Bridge in three weeks time, we wake up to the shocking footage of the incident that is all over the news from the Paris Metro yesterday. Like the majority of Chelsea fans, I fully support the statement the club has released and I sincerely hope that these idiots get found out, banned for life and possibly arrested for their behaviour. I would like to point out and to remind all the neutrals reading this post that it's important that you do not label the majority of the supporters such as myself as racist because I am not. David Johnstone, Editor of CFCUK and one of the most prominent supporters spoke to Radio Five Live last night and it's important that people listen to what he said. “Because of the actions of possibly half a dozen people on a Metro train in Paris all the supporters are going to be labelled as racist. Chelsea as a football club has grown so much over the last decade into one of the biggest clubs in the world. As time moves forward, the attitudes of the majority of football supporters and that of society in general has embraced cultural change and racial equality. Unfortunately for some, they are stuck living in the past, holding onto an attitude and a belief that is out-dated and unacceptable; that bear fruit in incidents such as last night and spoil it for everyone. Please don't label and stereotype the rest of us.